Saint Gregory of Nazianzus, also known as Gregory the Theologian, lived an illustrious life as an orator, poet, priest, and bishop. Until his death, he wrote scores of letters to friends and colleagues, clergy members and philosophers, teachers of rhetoric and literature, and high-ranking officials at the provincial and imperial levels, many of which are preserved in his self-designed letter collection. Here, for the first time in English, Bradley K. Storin has translated the complete collection, offering readers a fresh view on Gregory’s life, social and cultural engagement, leadership in the church, and literary talents. 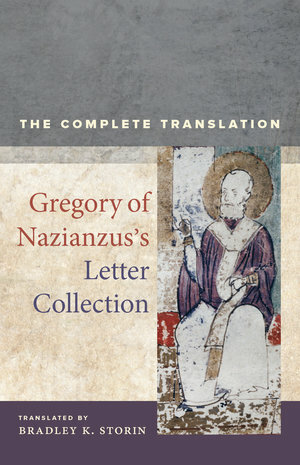 Accompanying the translation are an introduction, a prosopography, and annotations that situate Gregory’s letters in their biographical, literary, and historical contexts. This translation is an essential resource for scholars and students of late antiquity and early Christianity. Bradley K. Storin is Assistant Professor of the History of Christianity in the Department of Philosophy and Religious Studies at Louisiana State University.